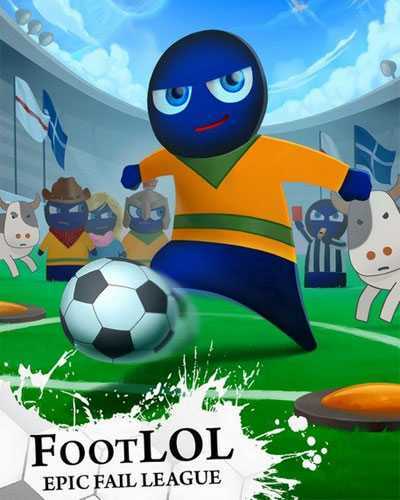 FootLOL Epic Fail League is an Action, Sports and RPG game for PC published by HeroCraft Ltd in 2013. Experience the funny moments of soccer! You are free to win the matches with any items that you can use. There are no rules for this kind of soccer. So the players can do everything in the stadium. Each player take the roll of the characters at the same time. You can use many spells on the enemy’s players! Fireball is one of the important abilities that you have. Players can also use tanks, bombs, mines and even flying ships. You main goal is just winning at FootLOL Epic Fail League. So do anything you can to get to it. Be careful about the opponent’s spells too. Because everyone has some abilities to make damages on the others. It seems a soccer game but it’s a kind of fighting too. Attack them with many plans to shoot the opponent’s players out of the stadium! Scoring goals are important too. There are many cheating ways to score goals. But some of them takes much time to be done. So choose the fastest ways. By winning the games, Scores will be added to your account. Go to the store to buy new items with these scores. Then prepare yourself for the future matches. Although the environments are simple, The gameplay is really addictive. The graphics are normal. But the environments are in 3D. Try to enjoy this game’s amazing gameplay with lots of fun. Get ready to be the champion at the seasons of the year. 0 Comments ON " FootLOL Epic Fail League Free Download "